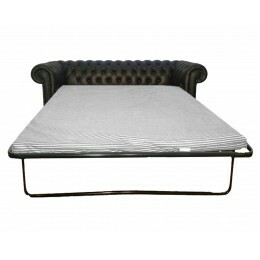 Chesterfield is synonymous with quality and style. Without a doubt one of, if not the most distinctive sofa designs on the market. Originally named after the 4th Earl of Chesterfield, almost 300 years ago the Chesterfield sofa used to adorn stately homes of the aristocracy. 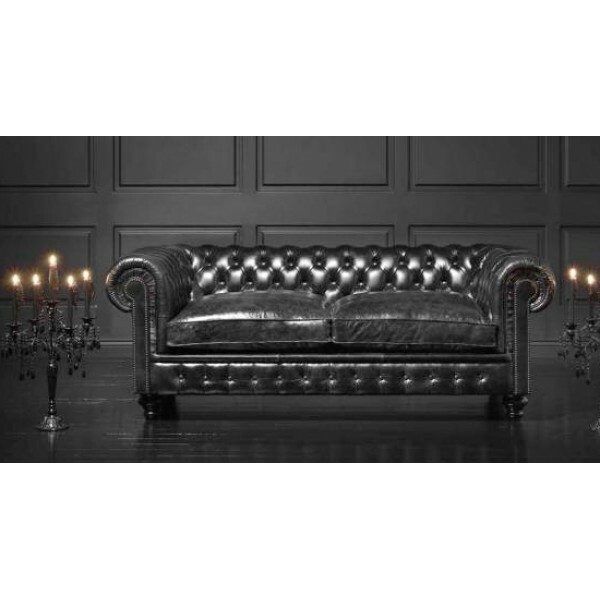 Today the Chesterfield sofa still oozes that timeless elegance and is still manufactured with the best quality leather. With its deep buttons and the arms and back being of the same height, the distinctive design of the chesterfield sofa is so easy to recognise that it definitely stands out from the crowd. With a Chesterfield sofa taking centre stage in your living room you will be making a statement that comfort and style are important to you in equal measure. There is something about the Chesterfield sofa that is sophisticated and cultured. Another association with the sofa that some have is that of psychology, with a Chesterfield sofa said to be the infamous psychologists Sigmund Freud’s psychoanalysis sofa of choice. The background of this decadent sofa is steeped in history making this piece more than just somewhere to sit. It is because of this Zest Interiors offer a range of chesterfield sofas, understanding that those who have an appreciation of history and the arts cannot resist the craftsmanship and cultural qualities of a Chesterfield Sofa. Visit us at Zest Interiors where you’ll find a wide range of available sofas and chairs to satisfy your need to impress. 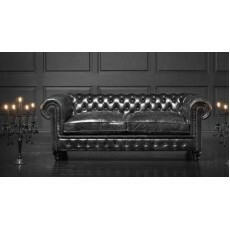 Our range also includes the Chesterfield Queen Anne chair and Chesterfield sofa beds. Zest Interiors also offer a range of alternative furniture. We are available over the phone on free phone 0800 052 2822 or for your convenience you can request a call back from one of our representatives. Some of the local areas we deliver to are: Burnley, Blackburn, Preston, Bolton and Manchester, though our delivery service is available nationwide. Please contact us for more information regarding our delivery service. 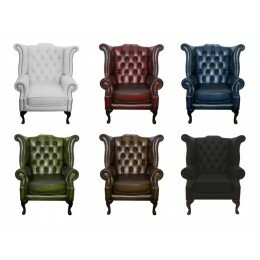 These beautiful hand-crafted Chesterfield Queen Anne Armchairs truly reflects the spirit of Great B.. 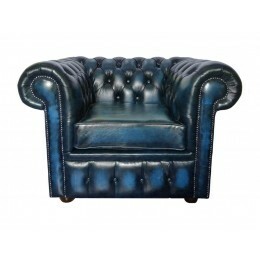 This beautifully hand-crafted Chesterfield Club chair in Antique Blue truly reflects the spirit of .. 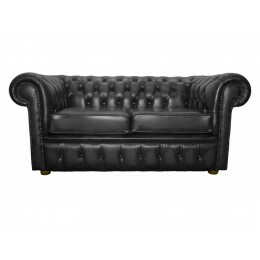 The Chesterfield is a world renowned sofa collection and this traditional original low-back design ..
One of our finest black genuine leather chesterfield 3 seater sofa bed is hand made in the UK. Th..
0 Comments To "Timeless Elegance with a Chesterfield Sofa"